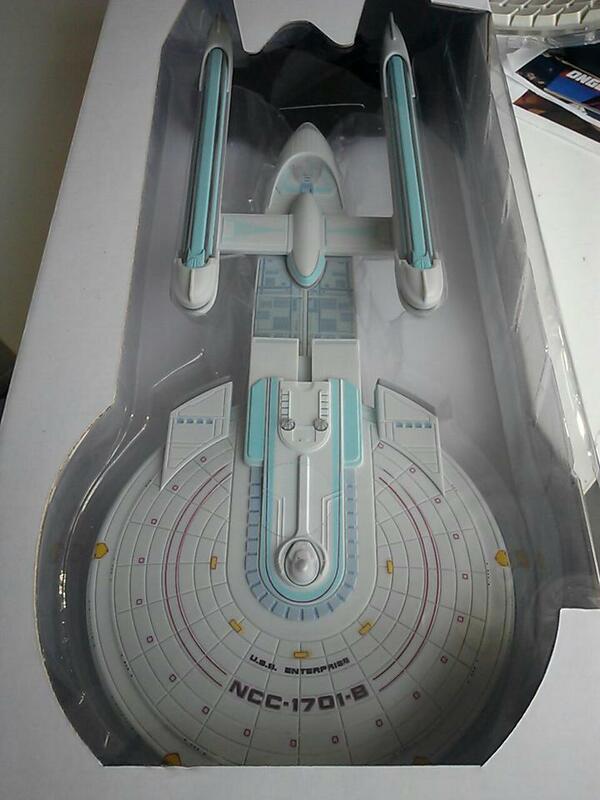 A sneak peek at Diamond Select Toys USS Enterprise NCC-1701-B electronic ship prototype from Star Trek: Generations. Paint, sounds, lights and packaging are not final, this is a work in progress. 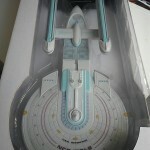 Features the voices of William Shatner and Alan Ruck. In stores later this year! Enjoy the video and we’ll bring you more information when it drops. I love the electronic sound choices and the paint scheme (if those are kept). I am however a sucker for scale, so it is always hard for me display them all together, know they are so out of scale. I have it preordered but god I am disappointed with the sound effects but then again it had like no air time so what do you expect...great replica though and I look forward to owning it. I cant wait for excelsior to come out!! I want some pictures in comparison to the others like the D and E. I am guessing this will match up better with the A.